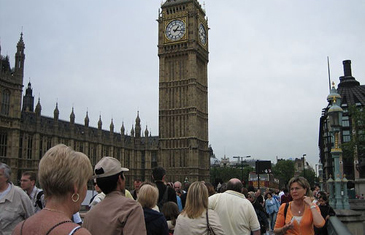 UK tourist arrivals in still up despite economic crisis. Whether or not there's global financial crisis, the Philippines remains the Brit's favorite tourist destination. This is because the British, and other tourists from Europe love birdwatching and scuba diving in the Philippines. And this is why Philippine Tourism Secretary Ace Durano led officials of the country's Department of Tourism in the launching of birdwatching project at the London Marriot Hotel recently. It was attended by UK's business circle and some members of Parliament. Durano told ABS-CBN Europe News Bureau that despite the economic crunch, tourism prospects from the UK remains "very promising." In 2007, UK tourist arrivals in the Philippines reached 85,000. Durano has projected a 10-percent increase by year-end, attributing market realities.